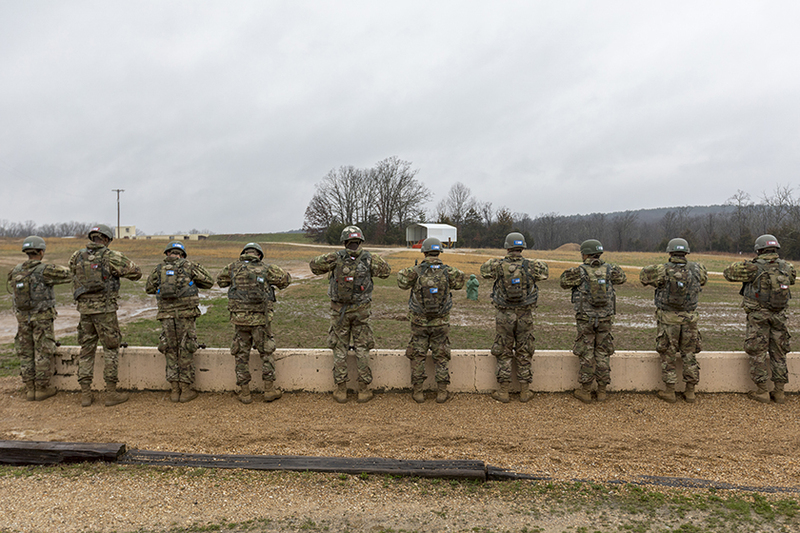 The Army trains about 85,000 soldiers each year at Fort Leonard Wood, says Dr. Don James, chair of the AENC board of directors and Phelps Health’s senior vice president of research and government affairs. Of those, some 600 to 800 experience TBI, according to the Army’s estimates, with significant numbers going unreported. Fully 85 percent of all TBIs experienced by troops occur during basic training, he says. 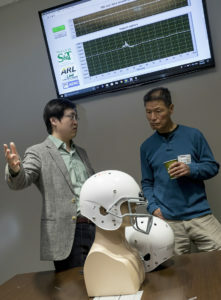 A $2.25 million grant to develop sensor-embedded “smart helmets” to quickly detect TBI. Dr. Jie Huang, assistant professor of electrical and computer engineering at Missouri S&T, is leading this research project. A $1.24 million grant to develop a method to quickly test urine for the presence of proteins and metabolites that may indicate TBI. Dr. Casey Burton, director of medical research at Phelps Health and an adjunct professor of chemistry at Missouri S&T, is leading this project. A $412,261 grant to Dr. Paul Nam, associate professor of chemistry, to develop antioxidant therapies and identify oxidative biomarkers for effective diagnosis, prognosis and treatment of TBI. A $403,966 grant to Dr. Jie Gao, assistant professor of mechanical engineering, to develop an imaging technique to study TBI or spinal cord injury. The process would involve the use of various spectroscopic techniques to identify damaged brain or spinal tissues. A $329,989 grant to Dr. H.K. Lee, associate professor and interim director of nuclear engineering, to develop a real-time computed tomography scan (CT scan) system that would help other researchers better design and test TBI prevention gear. A $252,426 grant to Dr. Fatih Dogan, professor of materials science and engineering, to develop a composite material to be used as a helmet liner to shield the brain from blast waves and ballistic impact that occur during training or in combat. 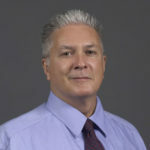 A $235,194 grant to Dr. Donald Wunsch, the Mary K. Finley Distinguished Professor of Computer Engineering and director of the Applied Computational Intelligence Laboratory, to analyze data from a TBI repository developed by the National Institutes of Health and the Department of Defense. The project involves the use of artificial intelligence (unsupervised learning neural networks) and statistical methods to develop personalized medicine. Most impressive and vitally needed! Even the helmets in use today may contribute to this problem or other degenerative chronic effects. We are uniquely situated at MO S&T to help with these issues. This is wonderful. Makes me proud to be a graduate!